Undoubtedly, forests are an integral part of the global ecosystems and a major indicator of the Earth’s health. Useful resources are obtained from forests, like wood for heating and construction; forests also protect against avalanches and erosion, filter rainwater, and can be utilized for various leisure pursuits. Due to these and many other reasons, the development of forests has to be monitored through systematic forest inventories. Apart from being conditioned to the observers’ subjectivity, on-the-ground inventories are laborious and expensive and can only be performed in regions that can be accessed easily. Therefore, on-the-ground inventories are not performed frequently, and done only in restricted areas. For example, in Switzerland, updates are made to the national inventory only once a decade or so since 1985. An excellent complement to on-the-ground monitoring is aerial remote sensing. This is because it is less costly and more objective, and is capable of covering a larger area. At present, two methods are being utilized—airborne laser scanning and hyperspectral imaging. The former determines the forest’s 3D structure, while the latter identifies the exact color of the tree canopy, even further than the visible light spectrum. While researchers know how to gather these two kinds of data, it is more difficult to extract the data required to track and control forests. Matthew Parkan, from the Laboratory of Geographic Information Systems in EPFL, created several algorithms for his PhD thesis. These algorithms have the potential to automatically establish specific inventory parameters, like the location of a trunk, species, and estimated diameter, across huge areas. Algorithms like these can be utilized, for instance, to produce a comprehensive map of an area during the preparation for tree marking (before cutting), to diligently track the development of separate trees and to discover habitats that are more suitable to specific animal species. In order to calibrate and corroborate his algorithms, Parkan needed to construct a reference dataset by manually obtaining over 5,000 trees from a 3D point cloud. 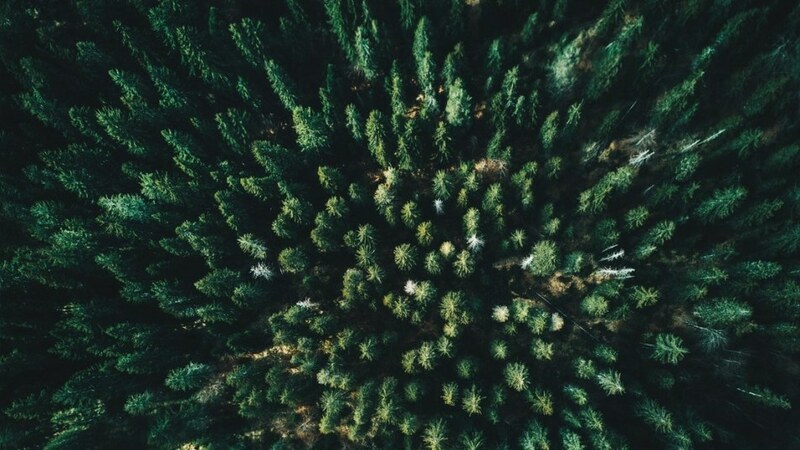 To accomplish this, he developed a digital forestry toolbox so that the trees can be manually extracted and the tree species can also be visually identified. This enabled him to validate that the algorithms may consistently identify the shape and location of trees, and also to calibrate his models of classification for nine species of trees that are often found in the forests of Switzerland. “My aim was to develop methods and tools that can supplement on-the-ground inventories rather than replace them,” stated Parkan. However, for detecting discreet characteristics, calibrating models, and corroborating results, on-the-ground inventories are still an important tool; for example, habitat trees, the dead wood on the ground, and the in-depth health of trees cannot be detected by a majority of currently available aerial remote sensing methods. Given that trees are intricate organisms, the spatial structure and shape of which differ extremely within a forest, it becomes highly challenging to identify all of their properties automatically. For the time being, no algorithm can provide a totally reliable set of results. That said, huge progress will be made in the coming years as more and more very-high-resolution data becomes available and we develop algorithms that work almost as well as the human brain. The thesis project was partly funded by the Swiss Forest and Wood Research Fund (project 2013.18) and the cantons of Neuchâtel, Vaud, Fribourg, and Jura.